Providence Homes has entered four (4) model homes in the 2016 Northeast Florida Builders Association Parade of Homes which starts this weekend! All four (4) will be open to tour throughout the Parade of Homes. 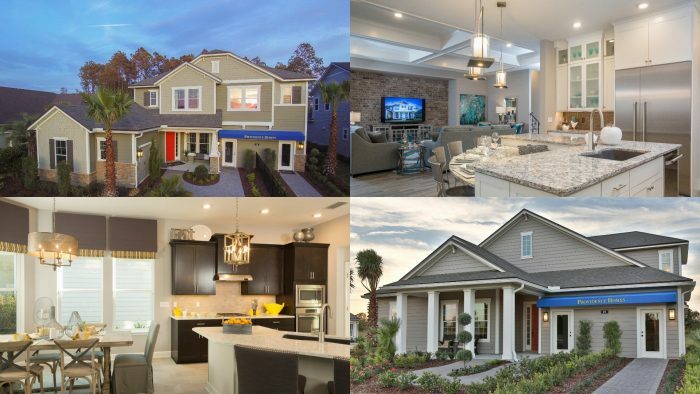 In Nocatee, Providence Homes has three (3) model homes to tour, The Lafayette, The Madison, and The Monroe. The 3,049 sq. ft. Lafayette Model is located at 63 Woodview Court in the Crossing, and features 4 bedrooms, 3.5 baths, and a 3-car garage. The Madison Model, located at 44 Spanish Creek Drive, offers 3,426 sq. ft. of living space, including 4 bedrooms, 3.5 baths, and a 3- car garage. And The Monroe Model at 58 Spanish Creek Drive offers 3,943 sq. ft., with 5 bedrooms, 4 baths, and a 3- car garage. The Madison and Monroe are located The Outlook. Providence Homes also entered The Ellaville Model, located at 89 Evenshade Way in Gran Lake, offers 3,116 sq. ft. of living space, with 5 bedrooms, 4 baths, and a 2-car garage. All Providence Homes models are 100% ENERGY STAR® Certified and feature conditioned attics w/ foam insulation. “As-Built” HERS Index Ratings are available at each model. The Northeast Florida Builders Association Parade of Homes runs from Saturday, April 22nd –through Sunday April 30th. Don’t miss your chance to tour our gorgeous ENERGY STAR® certified models – and maybe find the Providence home of your dreams!